The north east corner of Bannatyne Avenue and Rorie Street in the East Exchange District was once dominated by three buildings, all of a coordinating design. First built was 137 Bannatyne Avenue, in 1882-1883. 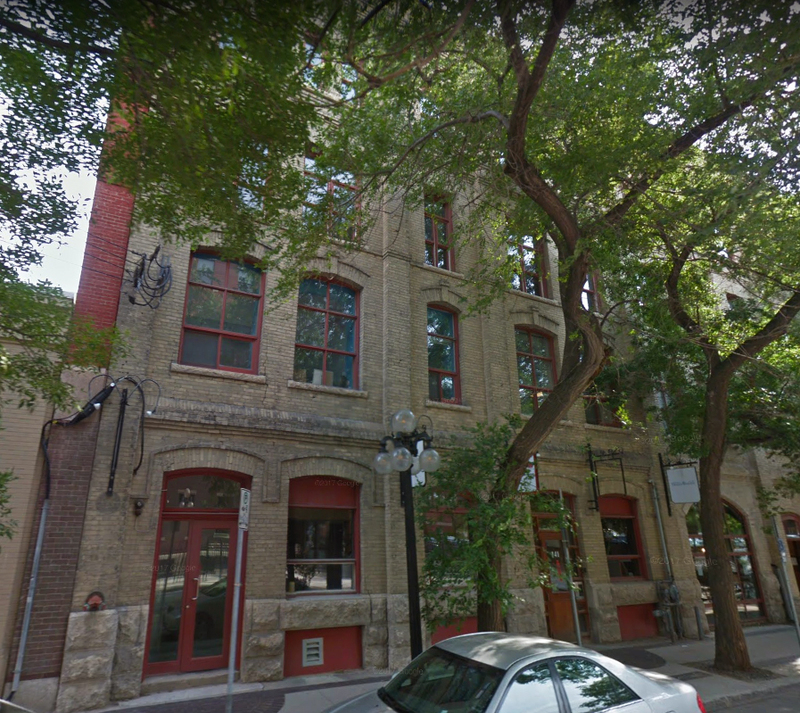 It was a narrow three storey building with a buff brick facade, design by the Winnipeg architecture firm of Willmot and Stewart. It seems to have been built as a speculative project by the firm Turner, McKeand and Company, a grocery wholesaler that never occupied the building. In March in 1883, the same grocery wholesaler moved 60 feet west to the corner lot and started construction on an identical building designed by the same architect, only this time it was finished in red brick. The red brick building then became the home of Turner, McKeand and Company. The Bright and Johnston Building, which was built between the twin buildings, on April 26, 2014, prior to the drayway being closed in. Source: Virtual Heritage Winnipeg. In 1894, a spur line of the Winnipeg Transfer Railway was built between Bannatyne Avenue and Market Avenue. This development was very useful for warehouses in the area and greatly increased the property values. The grocery wholesale firm of Bright and Johnston looked to take advantage of the new spur line and in 1898 bought the warehouse at 137 Bannatyne Avenue. 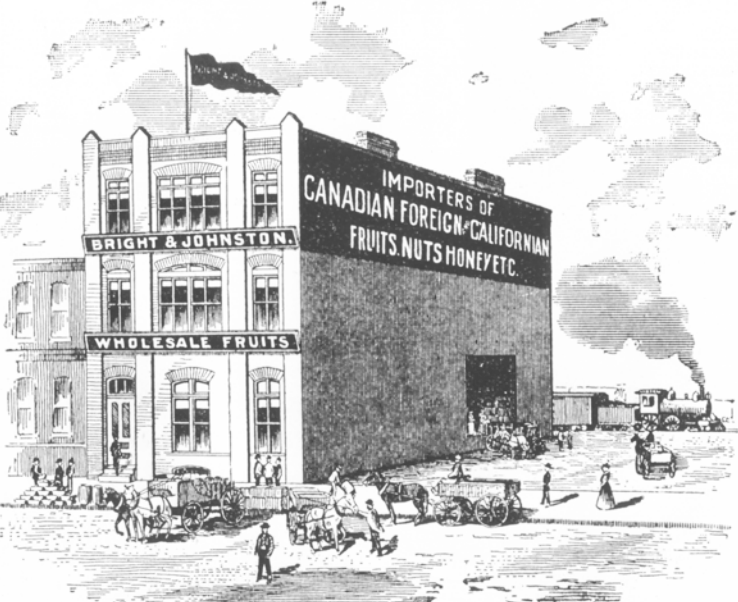 Albert Bright had opened a grocery store on the corner of King Street and Logan Avenue in 1883 before partnering with Kenneth John Johnston in 1896, and becoming a wholesale supplier for Winnipeg grocers. Bright was an Englishman who arrived in Winnipeg in 1881 with experience in the carriage making business. Johnston, originally from Ontario, was a famous high bicycle champion, being Canada's top rider from 1883 to 1888. After arriving in Winnipeg in 1882, he started in the grocery business working for the wholesale firm of Sutherland and Campbell. Together they formed a new company that specialized in local and imported fruit and nuts, and local honey. Advertisement from the Winnipeg Free Press from April 17, 1896. 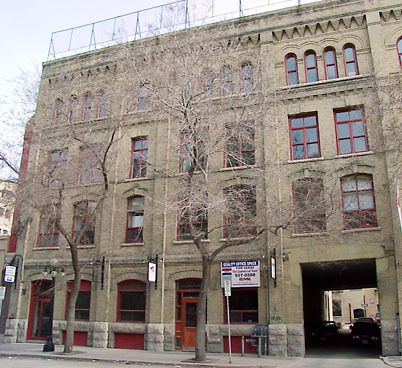 Bright and Johnston's original warehouse, the buff brick twin building at 137 Bannatyne Avenue. Source: Manitoba Archives. Bright and Johnston quickly found success and needed more space for their growing enterprise. They looked to expand their building by filling in the space between the twin warehouses. The prolific architect John H.G. Russell was hired to design the addition, having an excellent reputation as an architect in Winnipeg. The addition he designed at 141 Bannatyne Avenue was 66 feet wide, 120 feet deep and four storeys tall with a full basement, making it much wider and deeper, and a storey taller than the two older buildings which it shared party walls with. It became known as the Bright and Johnston Building. 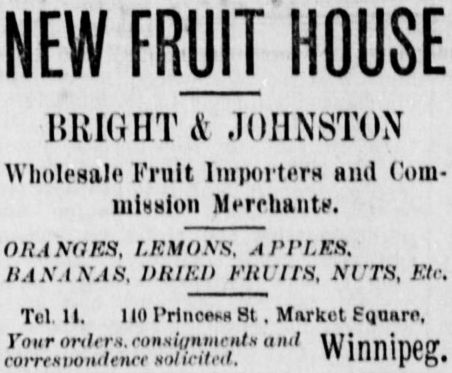 The announcement of Bright and Johnston's new building in the Winnipeg Free Press on August 25, 1898. It was designed in the Roman Revival style, seamlessly blending into the twin buildings flanking it. The facade was buff brick to match the older buff twin building owned by Bright and Johnston, sparsely decorated a variety of window styles and corbelled brick accents. Although it was not considered especially important to highly decorate this new building as it was not used by the general public, Russell was innovative in his design of the forth floor. Unconstrained by the design of the of the older twin buildings which did not have a forth floor, Russell designed a series of narrow windows with roman arches that are a pleasing flourish on the final floor. The building took $23,158 to complete and was opened in June of 1904. Bright and Johnston moved into their new space while they leased out their old space. Flooded with natural light from the ample windows, the interior of the first to floors were finished as office/display space while the upper floors were warehouse space. A large wooden staircase, pressed tin ceilings and maple flooring adorned the interior. The front facade had a main entrance in a narrow bay with larger bays on each side of it. At the east end there was a fourth bay that featured a drayway (an interior driveway) which provided covered loading areas. Plain windows on the back and east facade of the building added to the natural light with arched loading doors at the back of the building. 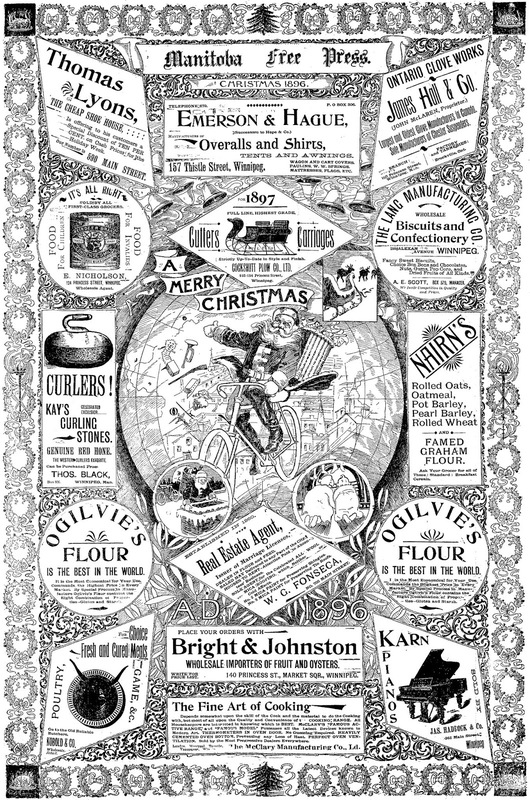 A Christmas advertisement for Bright and Johnston in the Winnipeg Free Press on December 19, 1896. In January of 1907 disaster struck the relatively new Bright and Johnston Building, with the second storey catching on fire. Firefighters battling the blaze seemed to have taken the upper hand when a large explosion erupted from within. Firefighters who had been using boxcars on the spur line behind the building as a vantage point for fighting the fire were thrown through the air. When the fire was finally extinguished, the building that was less than three years old was completely gutted and $183,000 of stock was destroyed. Fortunately, the exterior and adjoining buildings were not harmed by the fire. The article from the Winnipeg Free Press on January 29, 1907, detailing the fire in the Bright and Johnston Building. Undeterred, Bright and Johnston quickly embarked on rebuilding the interior of their warehouse and decided to also add a fourth storey addition to their original building at 137 Bannatyne Avenue. Russell was brought on board once again to ensure a cohesive design, with the fourth storey addition matching the fourth story of the Bright and Johnston Building. When finished, the rebuild and addition cost over $27,000 - more than the Bright and Johnston Building had cost to build from scratch. 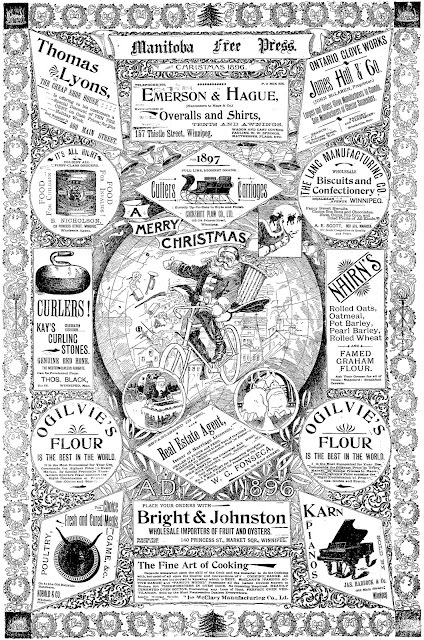 In 1908 Johnston left the company to become an independent fruit broker while Bright's sons joined their father in the wholesale business, becoming Bright and Sons Crockery. Unfortunately for the new business still located in the Bright and Johnston Building, fire continued to plague the building. In 1915, straw that was used to pack crockery caught fire on the fourth floor, which soon caused the roof to collapse. This actually ended up being a stroke of good fortune, as it allowed firefighters better access to the burning interior. Plaster sludge from the top floors of the burning building oozed downwards, sealing off the lower floors and along with the help of 100 firefighters, prevented the fire from spreading. No other buildings were damaged and only $5000 worth of damage was done to the warehouse itself with $55,000 worth of stock being lost. In 1926 the crockery packing caught fire once again, with the blaze causing only $4,500 of damage. The top two floors had burned while the bottom two floors were damaged by smoke and water. 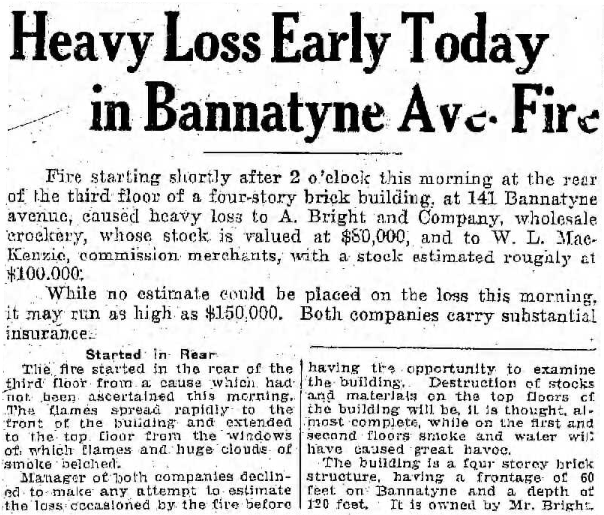 Article from the Winnipeg Free Press on May 26, 1926, detailing the third fire in the Bright and Johnston Building. During the 1920s, Bright and Sons were taken over and a variety of tenants moved in and out of the Bright and Johnston Building. Chase and Sanborn (a coffee company) and Kraft Cheese where two of the notable tenants until the building was mostly taken over by the W.L. MacKenzie Company, whom the building became named after in 1949. Around 1958 the red brick twin building was demolished, leaving only the buff brick twin building and the matching Bright and Johnston Building. A column of red brick on the west side of the Bright and Johnston Building's facade remains as a reminder of the twin building that once stood there and shared a wall. Although fire and changes in tenants have altered the interior of the Bright and Johnston Building over time, the facade remains virtually unchanged, still perfectly matching the buff brick twin building it still shares a wall with. Over time the Bright and Johnston Building became vacant. In 1992 the building was sold, and after many years of slow decline, things started to turn around for the aged warehouse. The new owners set about breathing new life into building, undertaking renovations and filling the spaces with tenants. 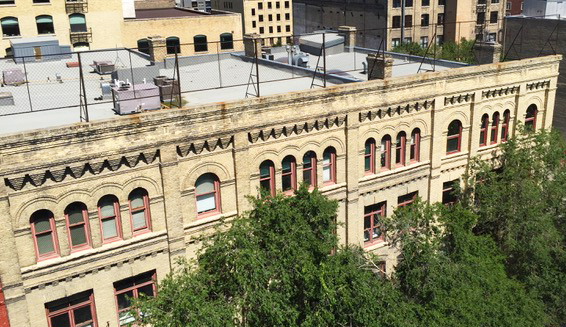 In 1993 the City of Winnipeg recognized the historical significance of the building and added it the List of Historic Resources, protecting it from demolition. 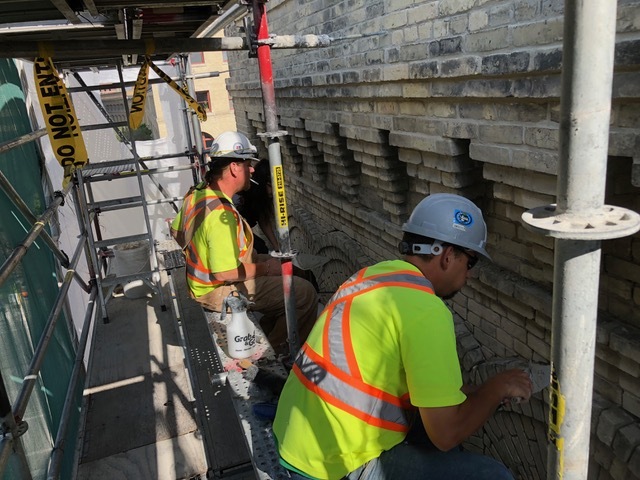 In 1998, Heritage Winnipeg recognized the rejuvenative efforts of the new owners (and their architects) with a Conservation Award at the Annual Preservation Awards, which recognizes the building projects and people dedicated to the conservation of Winnipeg's built heritage. Work on the facade of the Bright and Johnston Building in 2018 revealed extensive charring behind the bricks. Source: Dudley Thompson Consultancy. The Bright and Johnston Building is an excellent example of adaptive reuse, a former warehouse now being fully occupied by office space with the drayway being closed in to make space for a restaurant in 2013. Although the interior has changed, the exterior remains an important part of the turn of the century streetscape the Exchange District, a national historic site, is so coveted for. 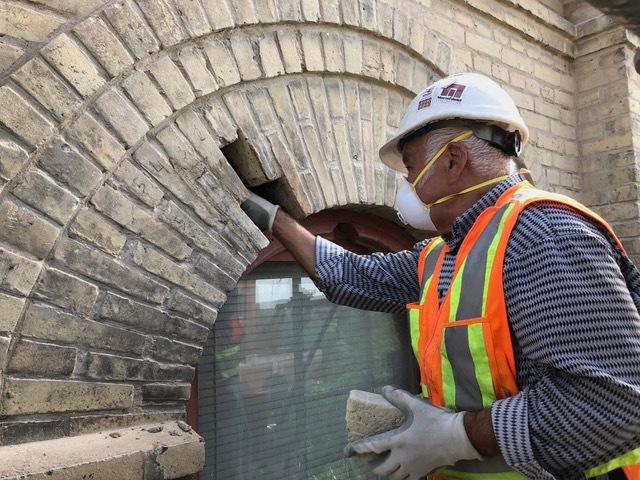 Wishing to continue this continuity and to ensure the long term sustainability of the building, the owners recognized the deterioration of the facade and undertook extensive work in 2018 to conserve it. These efforts will ensure the future of Winnipeg's built heritage. This building is once again recognized with a nomination for a 2019 Annual Preservation Awards Conservation Award. Despite fire, neglect and time, the Bright and Johnston Building continues to stand proudly as a monument to Winnipeg's illustrious past and the immense potential its future holds. With this latest conservation work complete, it will still be standing with its matching buff twin building for countless generations to enjoy, an important and functional part of our built and social history. The Bright and Johnston Building in 2017. Source: Google Maps.